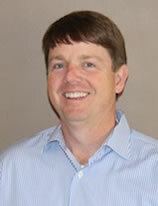 Thomas graduated from Auburn University in 1989 with a degree in accounting. He started work in the Birmingham office of Ernst & Young in 1989 and is currently a partner with the firm today. He is active at Auburn University where he serves on the School of Accountancy Advisory Board. Thomas is an active member of Liberty Park Baptist Church in Vestavia Hills, Alabama, where he is a Sunday School teacher and active member of the congregation. Thomas and his wife, Jerri, have three children, Caroline, Walker, and Bo. They live in Vestavia Hills, Alabama.